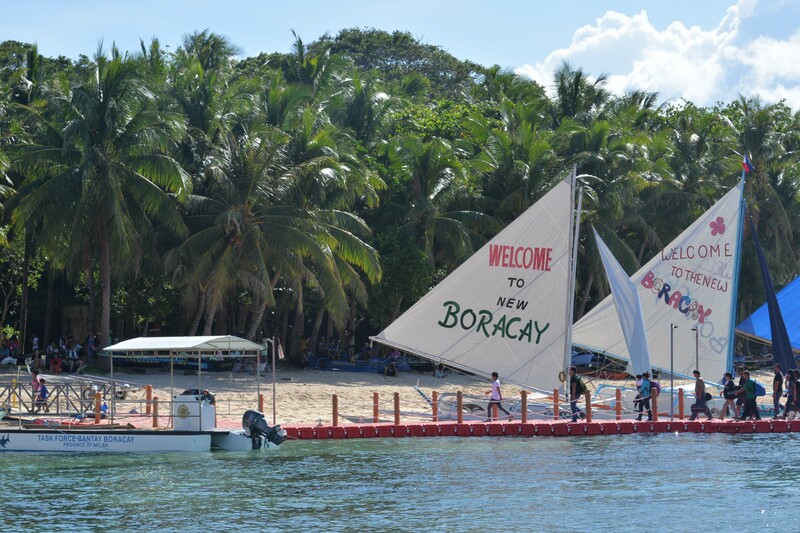 President Rodrigo Roa Duterte decided to shut down tourism operations in Boracay in April 2018 to make way for massive rehabilitation. 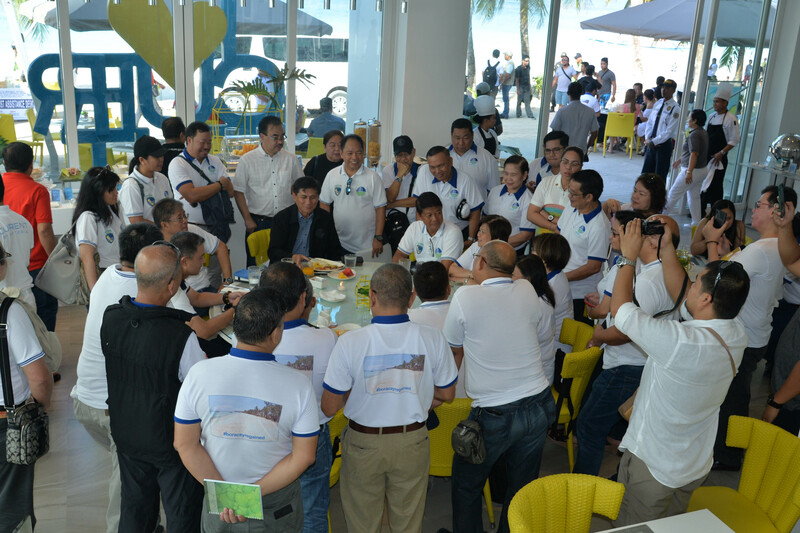 To ensure an orderly and speedy implementation, the Boracay Inter-Agency Task Force (BIATF) was created and DENR became the lead organizer with Secretary Roy A. Cimatu as chairperson. to the re-opening ceremony of Boracay. Standing behind him to his right is NAMRIA Administrator Tiangco. Visitors begin to arrive at the island. 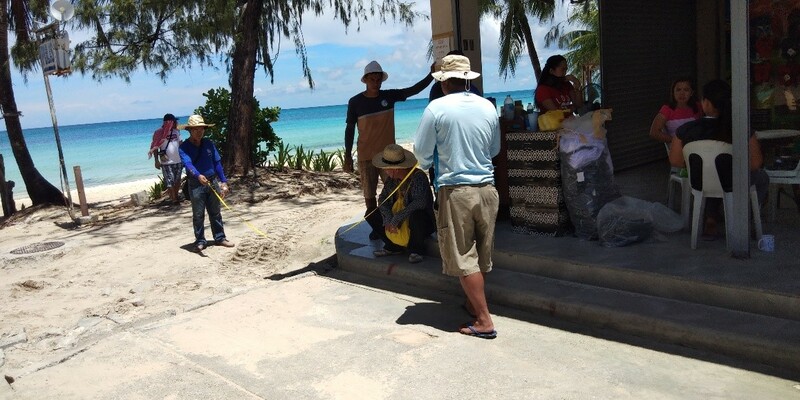 NAMRIA’s participation in BIATF was very crucial since the survey monuments established by the agency in 2007 served as markers for the 25 + 5-meter no-build zone beach easement. These reference points were the bases in demolishing erring establishments to implement the easement rule. Throughout the six-month rehabilitation period, NAMRIA Administrator, Usec. 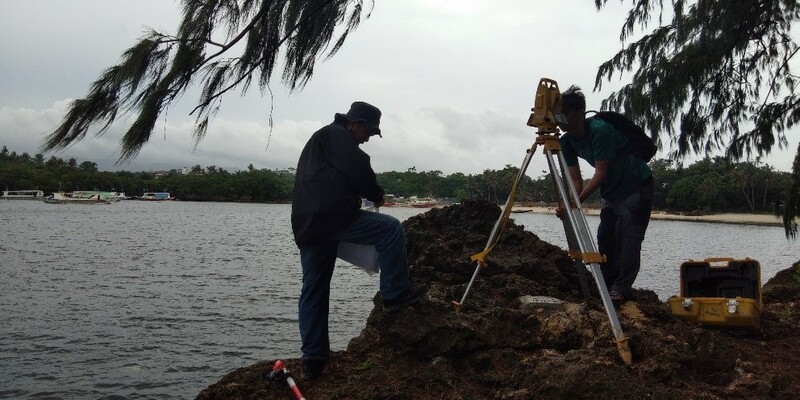 Peter N. Tiangco deployed a team of technical personnel to recover, relocate, or re-establish the survey monuments within the shoreline using state-of-the-art survey instruments. NAMRIA was able to complete its assigned tasks in time for the re-opening on 26 October 2018. 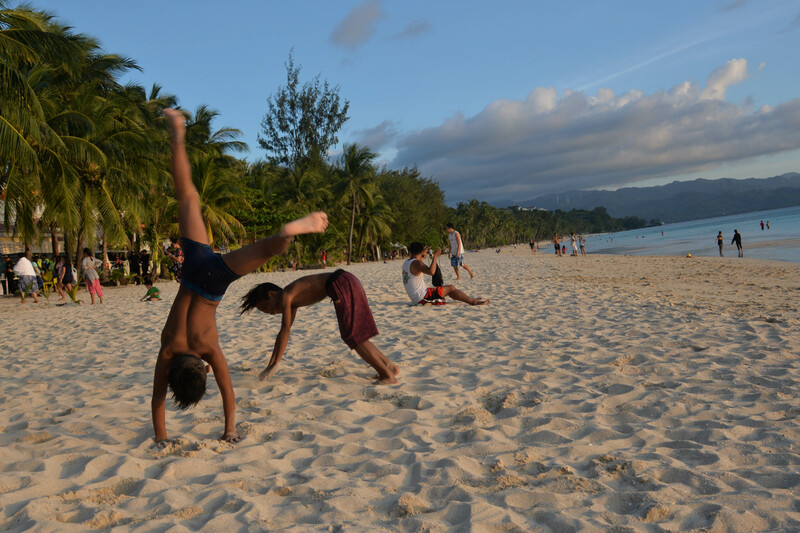 Unlike the old and crowded Boracay, tourists can now enjoy a wider and much cleaner beachfront. 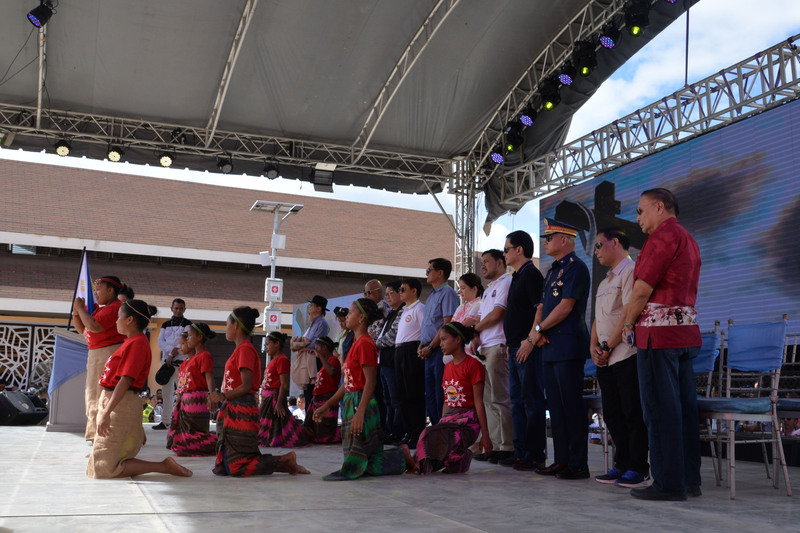 Ati tribe in the Boracay re-opening ceremony held at the new Cagban Jetty Port on 26 October 2018. National Defense Secretary Delfin N. Lorenzana and Presidential Spokesperson Salvador S. Panelo. photoshoot along the beachfront of Station 3. 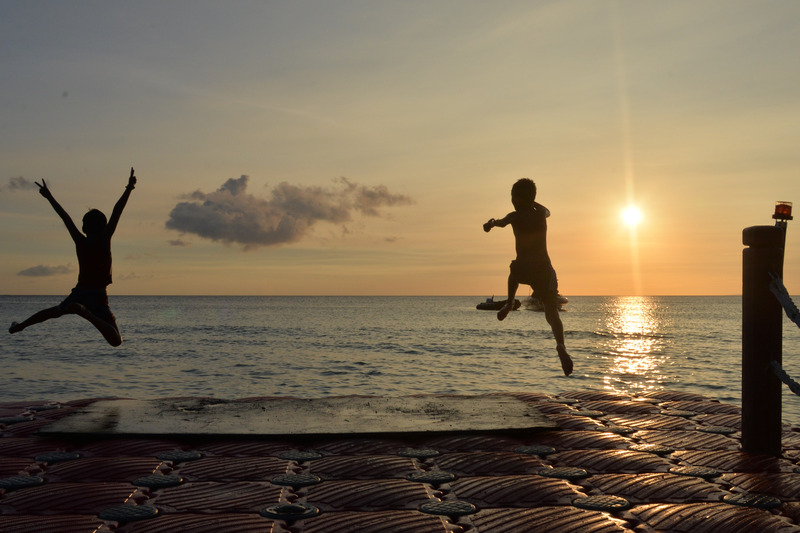 Children enjoy the beach amid the breathtaking Boracay sunset.